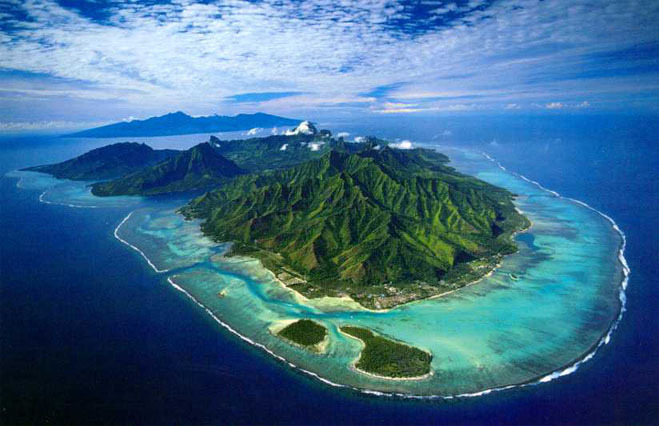 Moorea: Where I am fortunate enough to be spending my summers. As seen in the video, we place quadrats (square metal frames) on top of the reef at different locations and count up the number and species of vermetids as well as branching corals that fall within the square. By doing this many, many times in many locations (and across islands), we are able to get a better sense of vermetid distribution patterns and how these patterns may be linked to potential drivers, such as human development. 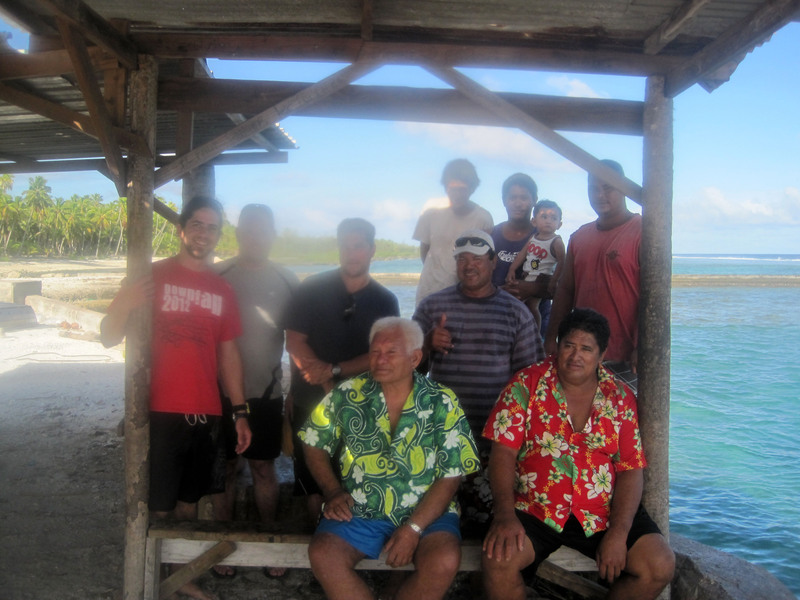 Fortunately, the weather cooperated nicely throughout all our inter-island surveys, aside from a little rain. But who cares about rain when you’re submerged all day anyway? 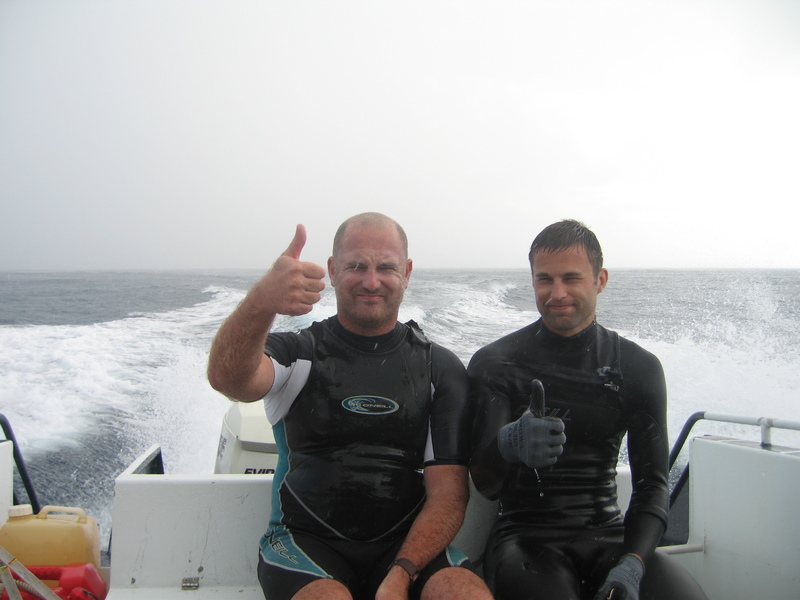 Survey bros Snout (left) and Adrian (right) during a soggy surface interval between dives. Spirits remain supercharged! The inter-island vermetid survey is now complete for this summer. We had a great time and a great team, and I look forward to what these data can tell us about vermetids and how we might better understand their role on the reef. Now, and for the rest of the summer, I will be conducting experiments for my dissertation (read more about the topic here). 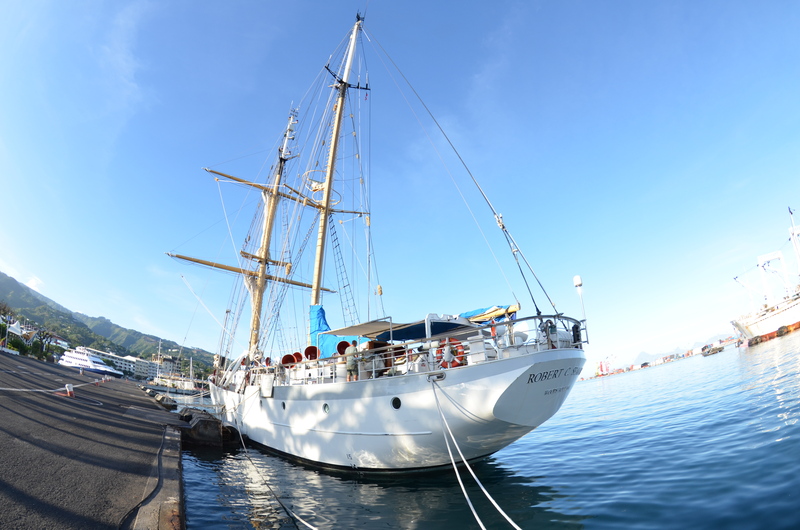 Stay tuned for more South Pacific island adventures for science! The ferry has arrived! 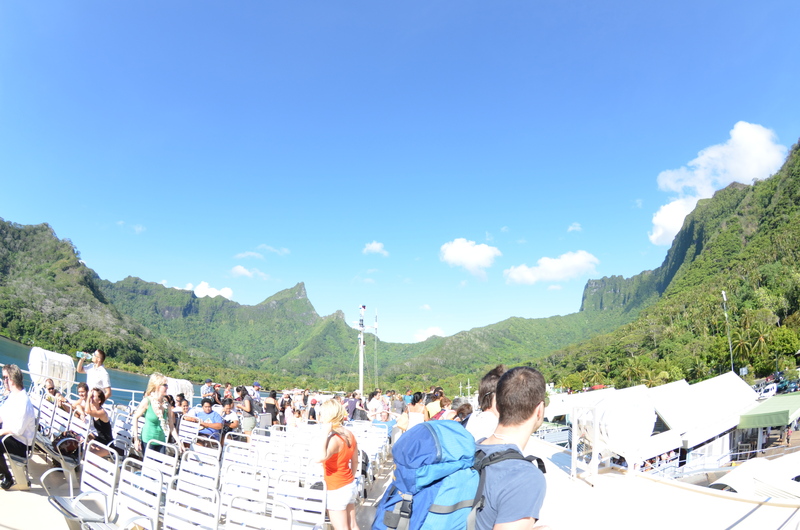 Nice to see you again, Moorea. 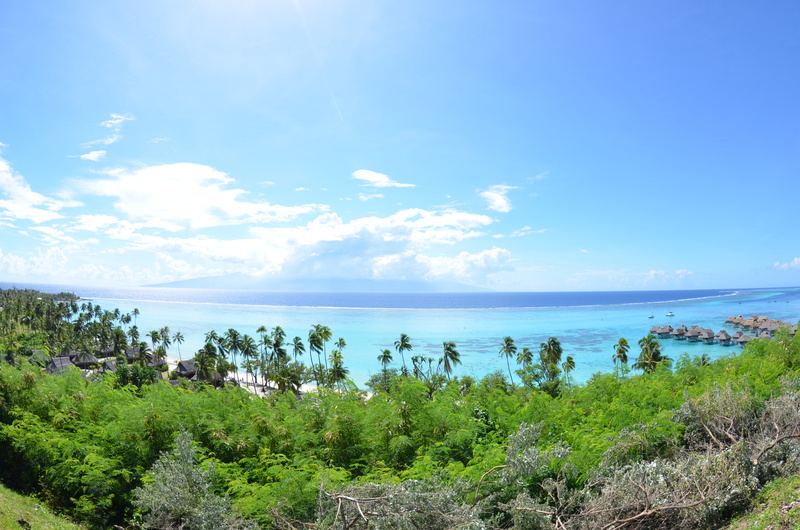 View of Tahiti from Tamae Beach lookout. 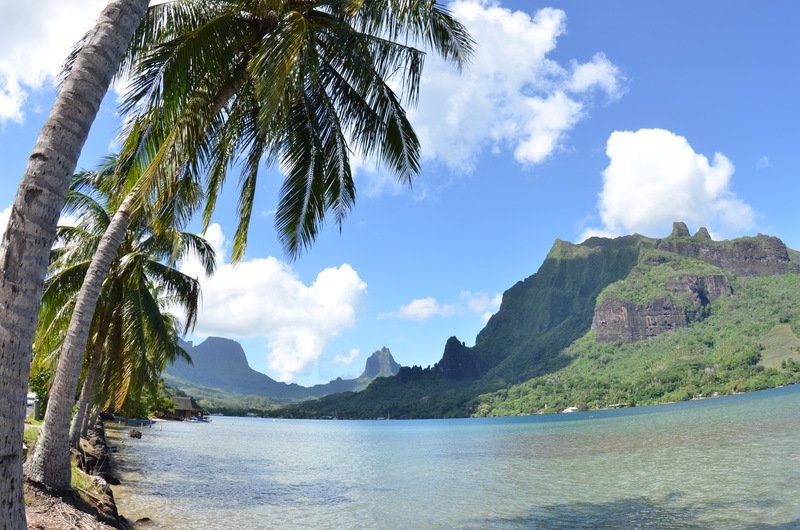 Cook's Bay with Mount Rotui to the right. 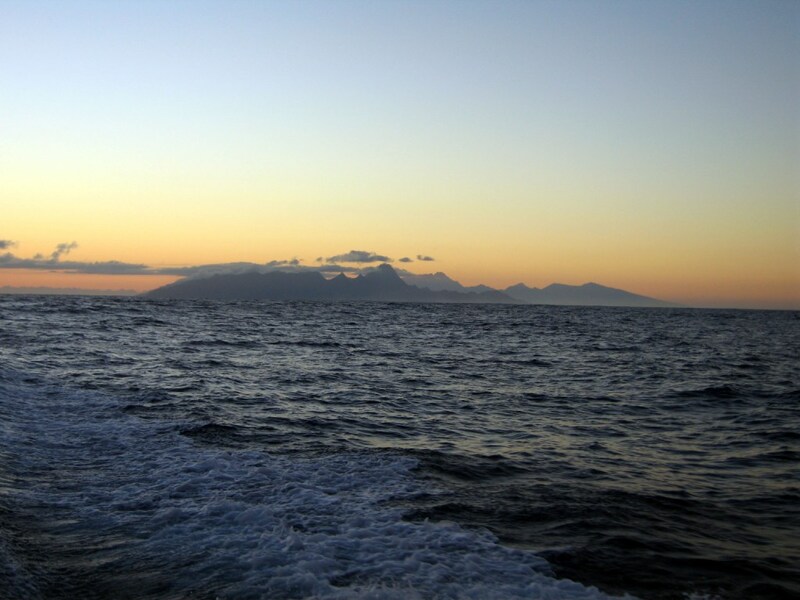 The purpose of this trip is to spend the week setting up a long-term experiment looking at the effects of a marine snail on coral communities. These uncoiled snails, called vermetids, are interesting little creatures that are highly abundant in Moorea and project wide mucus nets to capture food from the water column. 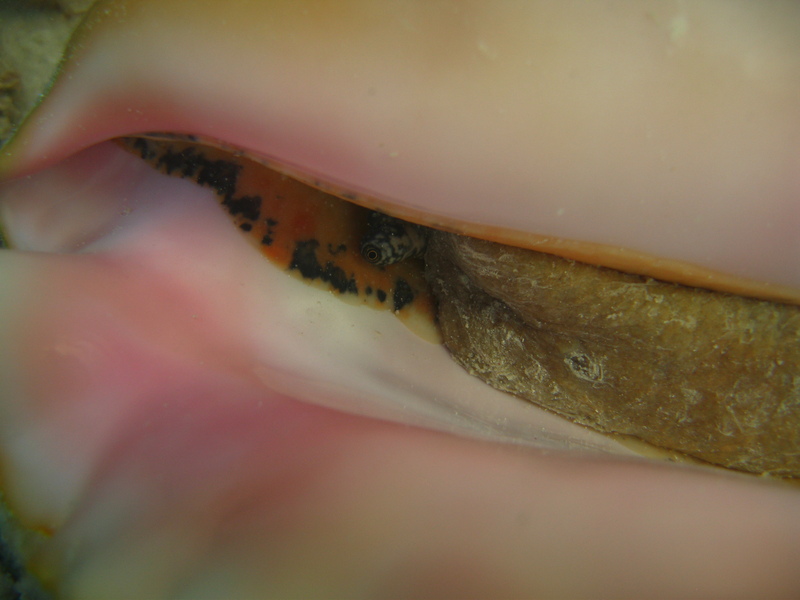 These mucus nets cover the substrate surrounding the snail and may have a variety of effects on the organisms below (namely corals). Thus, our work will measure the longer-term effect of vermetids on the composition of reef corals to better understand how these snails may affect the composition of the reef. 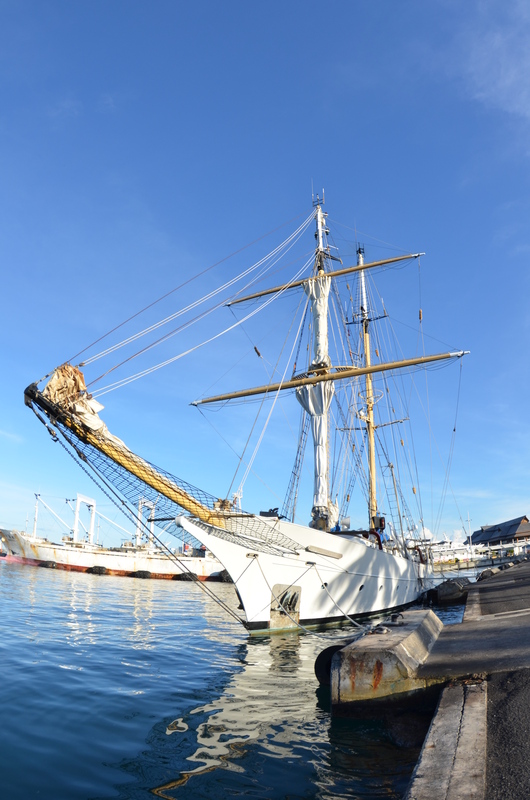 Thanks for reading– More soon! Unfortunately, poor weather plagued my last days on Little Cayman before I made an abrupt exit, just missing the hurricane. Despite the weather, I did make a couple of dives and a handful of snorkels, which gave me a better feel for the quality of this reef ecosystem. 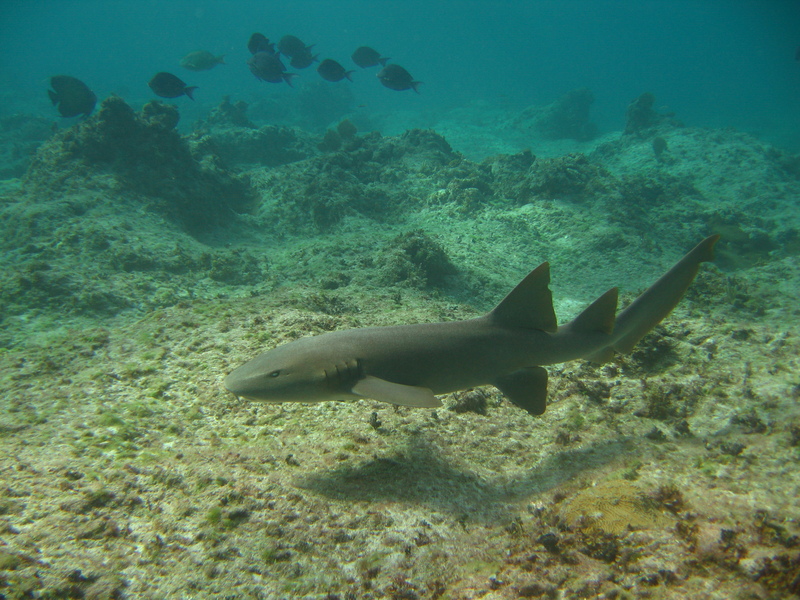 In a nutshell, the reef seems to be in great shape, with large, abundant carnivores (grouper, snapper, jacks, barracuda, sharks), abundant herbivores (parrotfish and surgeonfish), abundant coral (>20% cover in some areas), and low benthic algae cover (remember, algae are the enemy–see Research for more information). This pattern in the food web is an interesting one, because it seemingly contrasts classic ecology theory, which suggests that the base of the food web (in this case, benthic algae) should be much more abundant than the consumers (in this case, herbivores; conceptual diagram below). But in the healthy reef system of Little Cayman, if you took out and weighed all of the herbivores and all of the algae, the herbivores would weigh more. 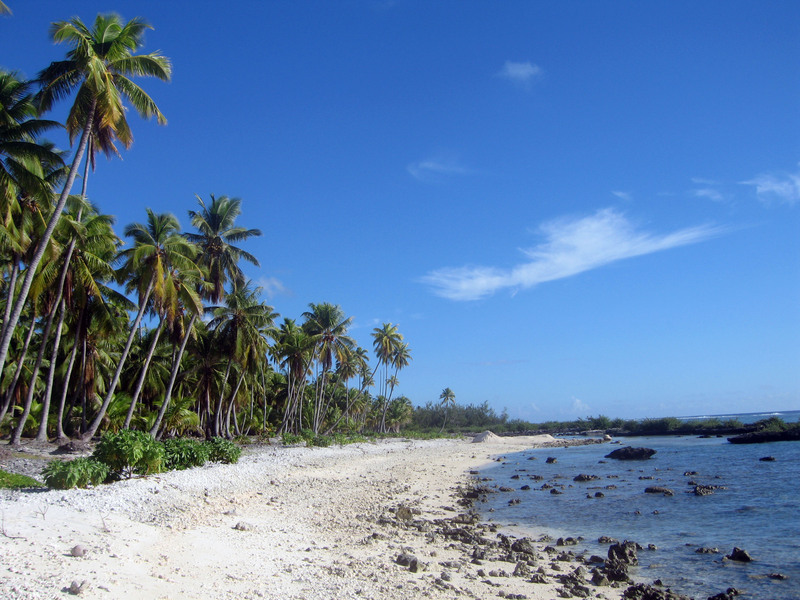 Well, a similar pattern was recently observed in the Northwest Hawaiian Islands, home to what are considered by some to be the most pristine coral reefs in the world (click here for more information on this study). These pattern can exist, with consumers outweighing their food source and not starving to death, due to differences in turnover. 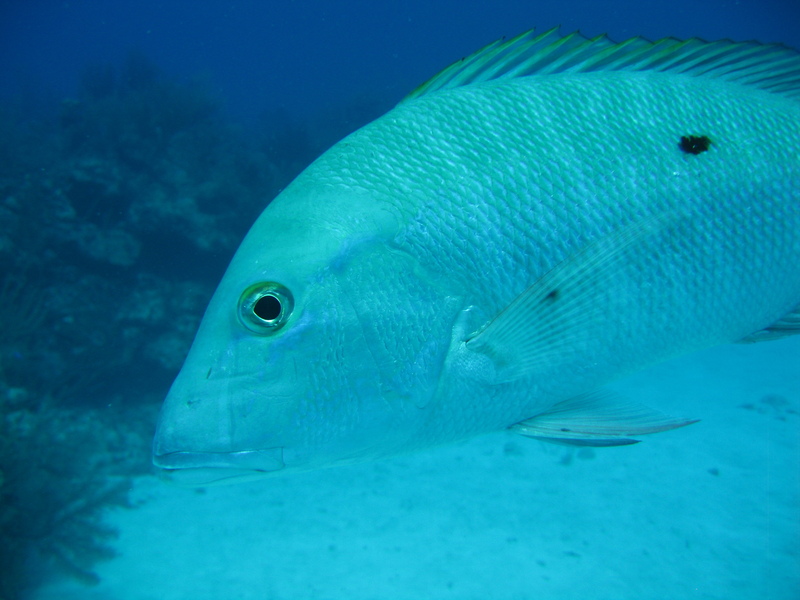 In the reefs around Little Cayman and the Northwest Hawaiian Islands, the standing stock of algae is suppressed by the abundant herbivores that are protected from fishing, but the growth rate of algae is astronomically higher than that of herbivorous fish. This means that production over time (instead of standing stock), remains much higher for algae than fish in healthy reef systems. As a result, when disturbances are diligently limited in a reef, you can get a lot of fish of all types and still have a lot of coral cover to regenerate and maintain the reef structure. In short, if we scale back our impacts, the ecosystem can take care of itself! Go Mother Nature! 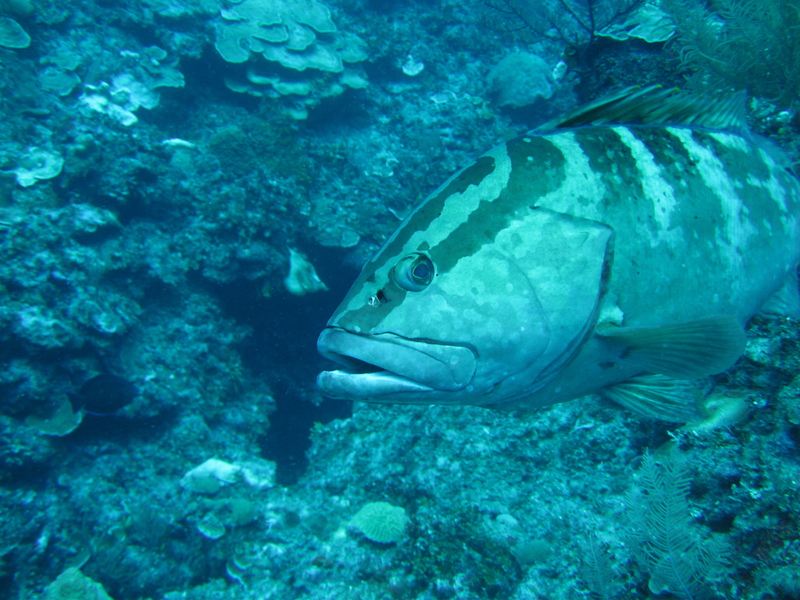 This 2.5 ft (0.8 m) Nassau grouper followed us for most of one of our dives on the fore reef. Maybe someone has been feeding him? This 4.5 ft (1.5 m) nurse shark surprised me out of no where! These guys are all over the place around Little Cayman, but luckily for me they are quite harmless (they mostly eat small fish, shrimp, and crabs). 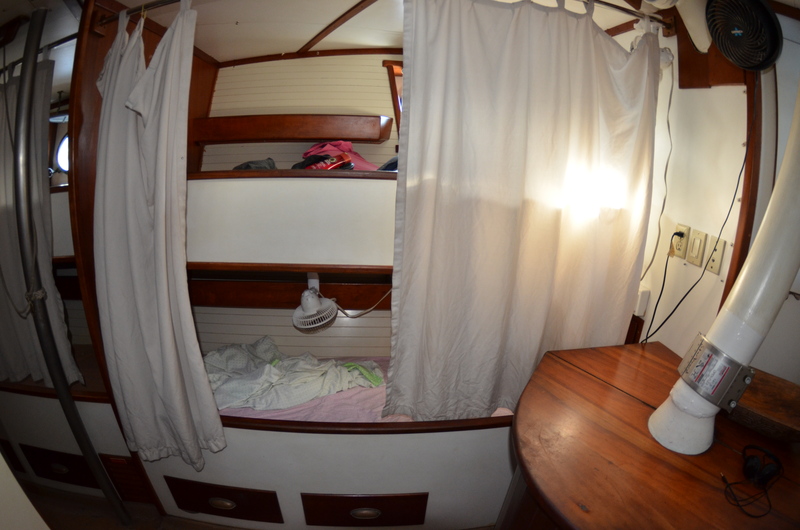 We dodged a storm in South Florida and made it to Little Cayman Monday night, as planned. Upon viewing it from the island-hopper prop plane, Little Cayman was smaller than I’d expected. 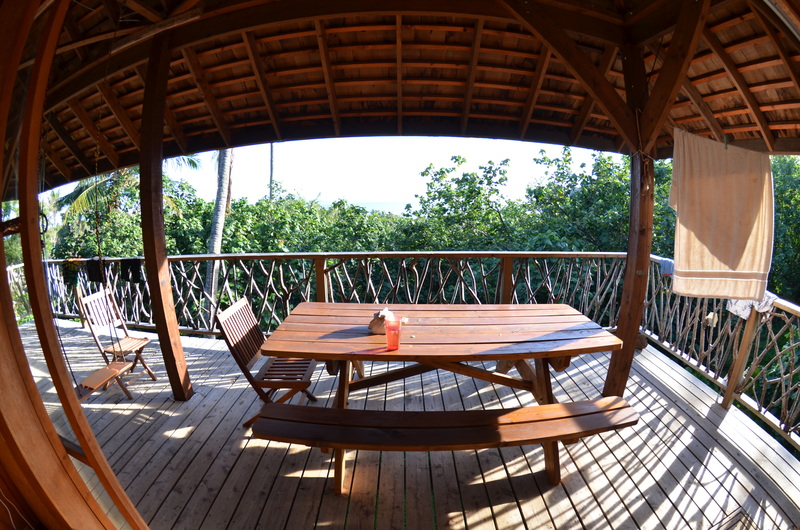 It is just 10 x 2 miles, but the limited land cultivation on the island contributes to its ‘small feel’. This was my first impression anyway. We spent the day yesterday getting a tour of the perimeter of the island from Professor Tom Frazer, who traveled with us from the University of Florida, followed by an afternoon-long snorkel in the station’s backyard. 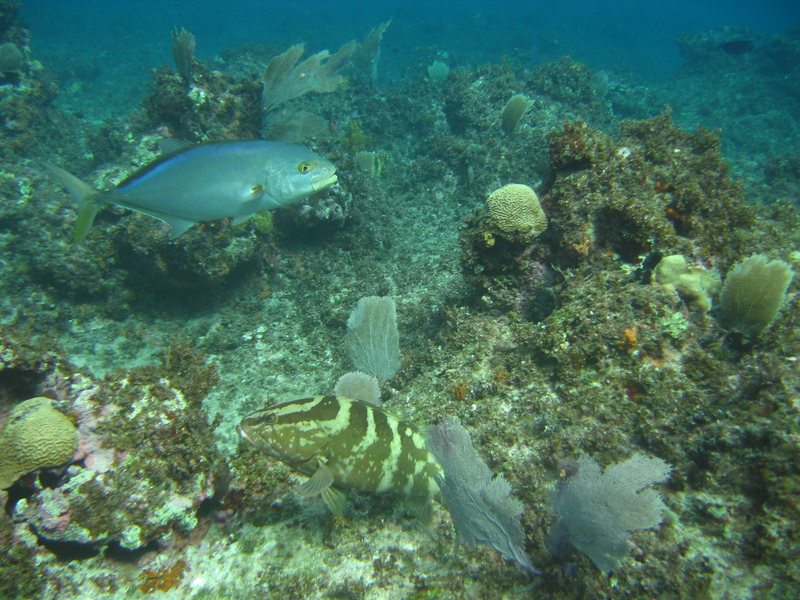 The reef closest to shore (fringing reef) was a lively place, full of small schools of herbivorous fish, feeding voraciously on turf algae–a similar site to the reefs in and around Akumal, Mexico. The snorkel took a turn for the unexpected when I ventured further off, ~ 3oo m past the reef crest. After swimming over 150 m of barren sand flats, we arrived at a lush barrier reef, teeming with life. This area was covered in hard and soft corals and overrun with reef fish, from large predatory barracuda, snapper and jacks to an array of small, algal-eating surgeonfish. We also encountered a hawksbill seaturtle and several rays and nurse sharks, but the most striking encounter for me was with a Nassau grouper over a meter long. When I ducked down to get a closer look at this massive fish at about 8 meters depth, it did not seem even slightly disturbed by my presence. If anything, it seemed curious. 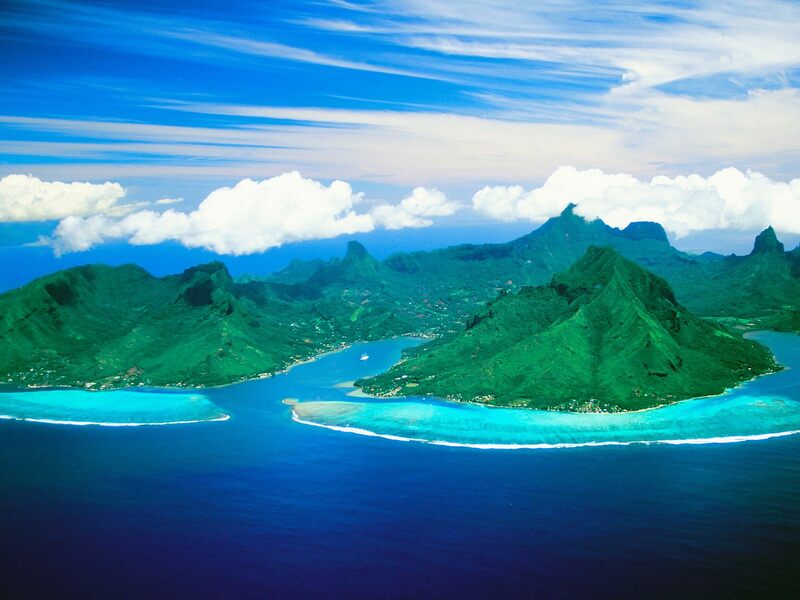 I’ve spent the last two summers in the reefs of Moorea, French Polynesia where fishing of groupers and other sizable reef fish is widespread. As a result, these fish are not commonly seen there, as they associate humans with spears being shot at their faces. I can tell that this Caymanian reef has been protected from fishing for a while (over 25 years, actually). 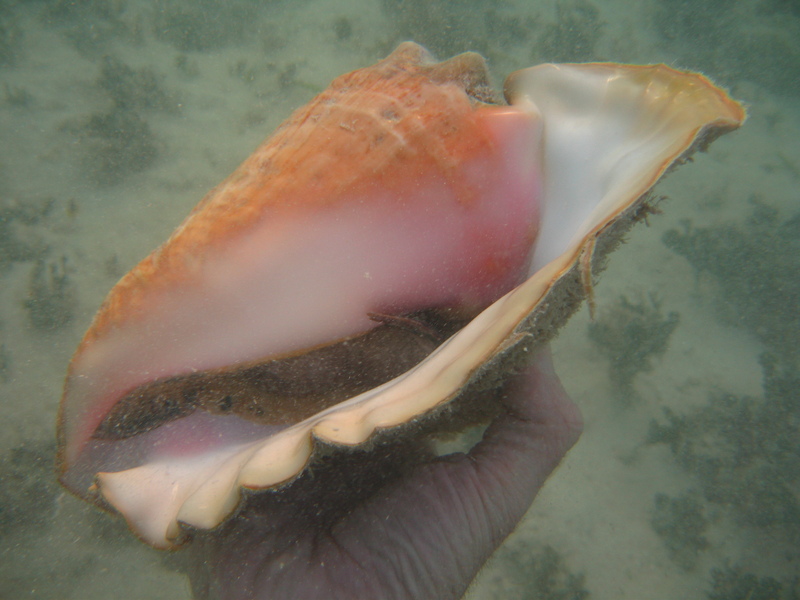 Massive conchs were found all over the sandy bottom areas of the reef. This one was giving me the stink eye. 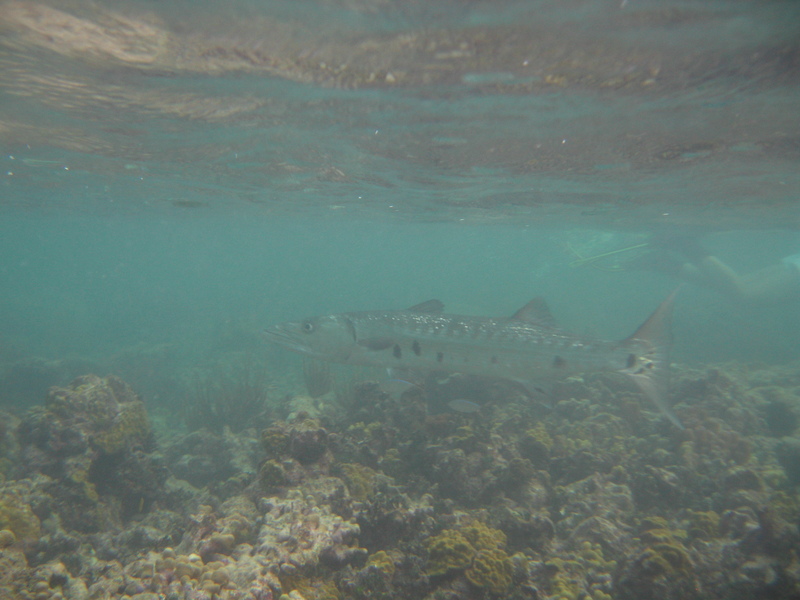 This intimidating barracuda (over 1.5 meters) snuck up on us and almost ran into Tom's face. 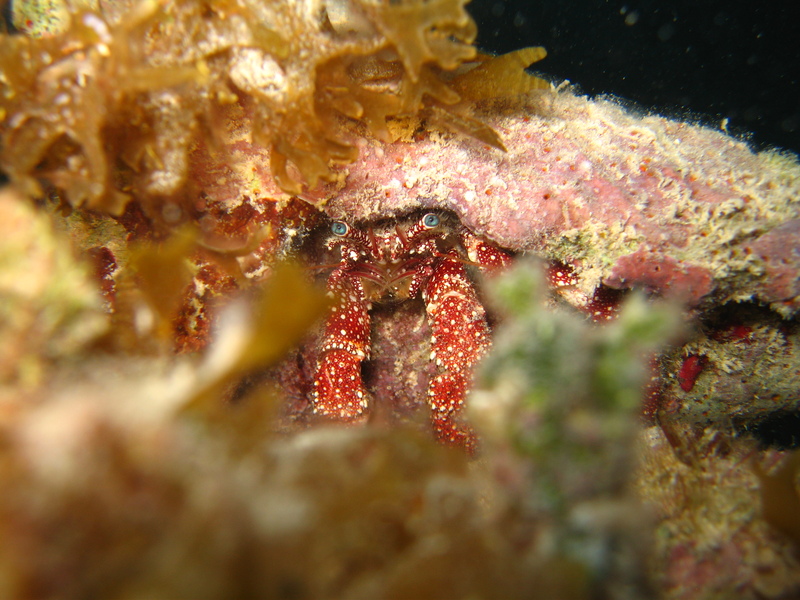 I found this hermit crab hidden among the reef algae inhabiting a conch shell three times its size!